So I received an email from Spark asking me to petition against a potential increase in what Chorus can charge for copper. No details to be found on the specifics. I think Spark should be doing a LOT more to inform people of the facts before they ask them to petition against something. Surely, many people will end up petitioning for something that will ultimately disadvantage them. IMO they should signifigantly increase what chorus can charge but only in areas with UFB available roadside, and only at the rate of attrition of copper connections. so half of what they have today on fiber, then double the copper charge. 90% moved over, then the copper is 10x the price of today. That should drive uptake of it. That should get these pricks in MDUs holding things up giving concent. but a body corp/building owner wont care, they probably dont live there, its the tennants that will face the costs. they should make it so a body corp cant refuse to install fibre unless there is a actual safety issue with it being installed. It's an incredibly poor campaign from Spark, and also poses more unanswered questions that it really solves. I actually spent a few hours last week writing a blog post on this, but couldn't really be bothered finishing it. The biggest unanswered question if the financial impact on Spark if an increase was to occur. It's very clear Spark see significant financial benefits from a lower cost, which is clearly a driving factor in this campaign. Should this campaign require a NZX please explain disclaimer? Would customers support it if they knew the significant financial benefits to Spark of a lower wholesale cost? At the end of the day the whole issue is no slightly more complex than price. Spark supported the establishment of a forward looking price model after the initial draft determination - and anybody who has looked at a forward looking model for copper in any country that's got fibre and copper will know that all regulators are having to deal with the simple reality that copper *has* to go up, not down, as fibre uptake increases. That's what a forward looking model should deliver. If Spark don't agree with this, then they shouldn't have supported the forward looking model in the first place. Jase2985: but a body corp/building owner wont care, they probably dont live there, its the tennants that will face the costs. Yes, the absurd concent issues need to be resolved. UFB access should be the same as water and power. Required in any residential rental property. Till then, a place without UFB will be worth signifigantly less than one with it and the continued existance of copper networks isnt something that they can rely on. I would also prevent any new buildings from having any copper connections installed in UFB areas. If chorus says no to copper than the residents will soon get the body corp to sort it out. I support it if for no other reason than I strongly believe that as a monopoly Chorus should have it's profit regulated to a low ROI. Lias: I support it if for no other reason than I strongly believe that as a monopoly Chorus should have it's profit regulated to a low ROI. You support increasing or decreasing? The proposed new price (off the top of my head) represents slightly under a 6% ROI. For such a large scale critical infrastructure you'd struggle to see large scale private investment at that level with the risk involved around regulatory uncertainly. The key thing here is that the debate over price is long gone. That was decided last year. The debate now is over the forward looking pricing model because the Commerce Commission have to establish true inputs for building and running a network, and as I explained above a forward looking model will certainly see pricing rise, and as fibre uptake continues and people move away from copper then pricing of the copper network should continue to rise at a faster rate. 6% ROI is embarrasingly low. But I think before they look at regulating the price up, they should look at chorus inefficiancies etc first because im sure that would help more than a price increase on the copper. The part of this that makes no sense to me is that Telecom/Spark customers don't tend to be very price sensitive. If they really cared about reducing their fixed-line spend they could do so with a single phone call to the competition. If Spark can mobilise such customers to petition the Commerce Commission on their behalf, I will be simultaneously impressed by their marketing nous and disappointed that people will be taken in by it. They are usually old people that wont change from what they have always had because old people reasons. I have tried to get a few relatives to move to other providers. When you could seperate internet and phone out I was able to get some to take the internet to xnet or some other providers, but seldom the whole lot. Lower.. I'm thinking cash/bonds level ROI so long as they have a monopoly market position. This all comes down to. Do we all want cheap and crappy internet. Or faster / better internet that costs a little more? As more money to Chorus will mean more to spend on better rural internet. And more to spend on backhaul upgrades. Aredwood: This all comes down to. Do we all want cheap and crappy internet. 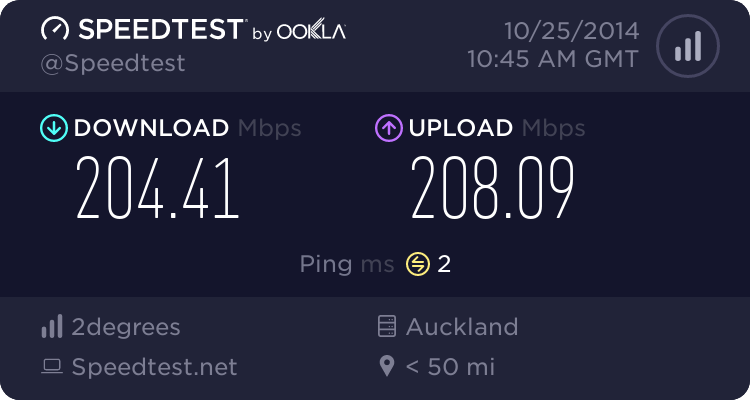 Or faster / better internet that costs a little more? As more money to Chorus will mean more to spend on better rural internet. And more to spend on backhaul upgrades. The Spark campaign is also incredibly simplistic (which is clearly how you want to campaign if you want people on your side). When you look at our copper costs, yes they have gone up, but much of this is because of the decision From December 2014 to remove the split between urban and rural lines and average these out. Had this not occurred our pricing would not be that significantly different to the average. I also see huge irony when a company like Spark coming that still charges 39c per minute for fixed to mobile calls accuses the Commerce Commission and Chorus of essentially ripping NZers off. ISPs pay Chorus for backhaul for DSL, and buy backhaul themselves for UFB. So backhaul is a red herring. With DSL an ISP can choose to use Chorus or their own backhaul. Most big ISPs would use their own backhaul rather than Chorus tail extensions. I understand that Chorus want people to move to UFB services, but raising the price of it seems odd. Perhaps they have decided that maintaining two sets of infrastructure is not ideal and want to just have a fibre network. So as people move off copper they will eventually decommission the fibre network. Kinda like how CDMA went with Telecom.